I know my top ten may not be the same as your top ten. After all what interests me may NOT interest you (though for the life of me I can’t think why not!) 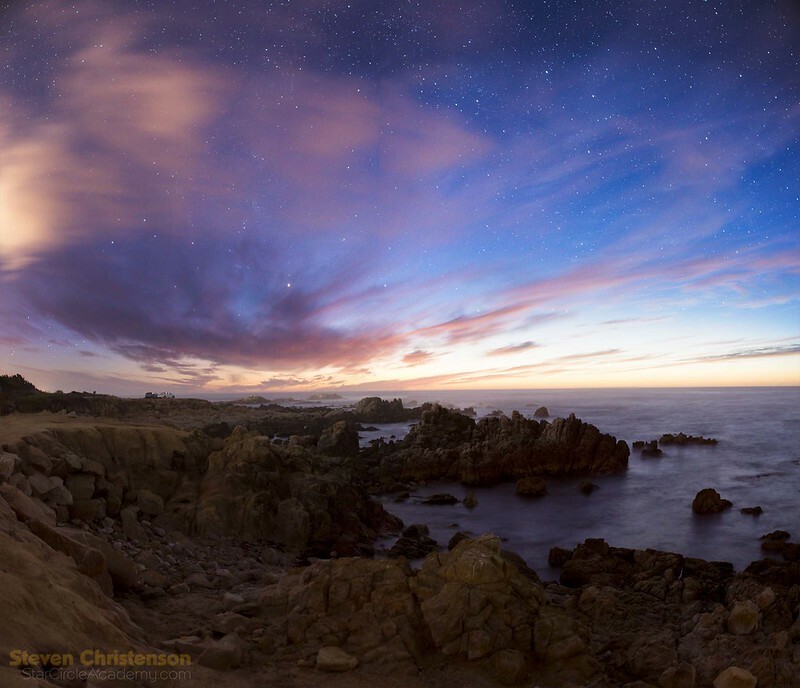 As a Landscape Astrophotographer I tend to gravitate to interesting views, unusual geology, natural landscapes and places where the sky is dark and clear at night. I’m not a city guy. The chance that you’ll find me in a tavern or night club is extremely slim. And while I do appreciate great architecture, and (ancient) history you’re much more likely to find me on a mountain top or along the shoreline or in the desert. Forests feel crowded to me unless they are surrounded by granite, basalt, sand dunes or lava. Flat is usually boring. I also want to be frank that this list is based on the places *I* have been. There is an equally long list of places I have NOT been but where I wish to go. I’ve also narrowed this list to Nevada, California, Western Utah and Arizona. I am listing my destinations in order of the eye appeal and “spiritual oneness” I get from visiting them. I’ve also provided some hints what seasons are best, and the amount of effort it takes to reach these places. Yosemite National Park. There is a really good reason Yosemite is so heavily visited. The first time I drove into the valley with the family I went slack-jawed. It is hard to imagine how beautiful Yosemite is. And the first time I stood on Half Dome – long before permits are required to make that hike – I literally wept – and not just because the hike was arduous, but because the view makes the heart flutter. You feel tiny and the granite feels big and solid. Yosemite is a very large park and there are four primary areas to visit. A> The valley which in the summer is overrun with tourists, and noise and distractions but quiet and beautiful when snow laden in the winter. The summer is also when the mighty Yosemite Fall becomes a whimper. To really be astounded the best time to visit Yosemite Valley is in the early spring. Late April to Early May. 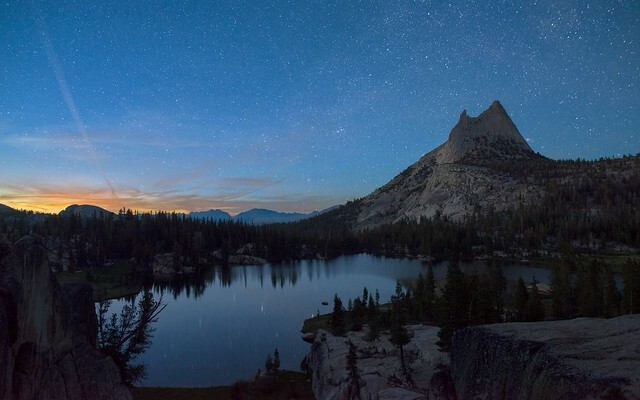 B> Another area of Yosemite worth visiting is the entire Tioga Pass road: especially Tuolumne Meadows area. There is awesomeness nearly everywhere along the 54 miles of road and it is always less busy than the valley. Warning: Tioga Road (Hwy 120) closes November through May. C> A third place that is justly popular for its scenic splendor is Glacier Point. The road to this amazing overlook is also closed in winter. D> And finally there is Wawona and the Mariposa Grove of Big Trees. Impressive, but not as impressive as the huge trees elsewhere in California e.g. in Big Basin State Park. There are also many, many spectacular landscapes to be seen far from anywhere a car can go. Some of the most rewarding views of Yosemite require backpacking into the High Country, like the photo above which is Cathedral Lake – a trail from Tioga Road. Alabama Hills near Lone Pine, California. Lone Pine is a small town with plenty of restaurants. But at the doorstep of Lone Pine are the Alabama Hills – bizarre rounded rock formations many of which you have probably seen before in movies like Planet of the Apes and car commercials and westerns. It’s a gorgeous landscape with so, so many places to explore. 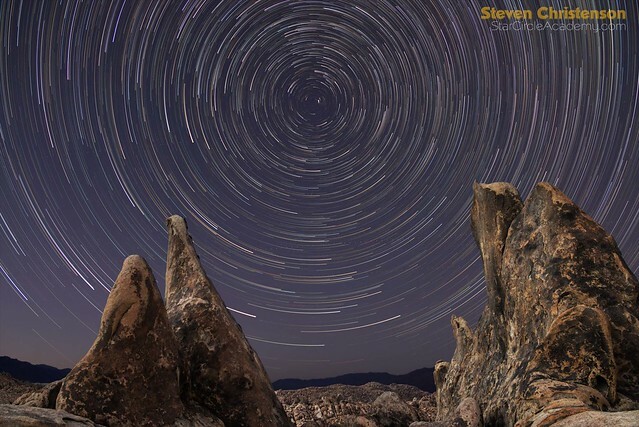 There is plenty of quiet in Alabama Hills and there are many places to roll up and enjoy the dark skies and the fantastic rock formations. Rising out of Alabama Hills is mount Whitney – the tallest mountain in the United States – the lower 48, that is. Alabama Hills is lovely in any season – prefer late fall – but beware the summers can get hot. 100 degrees Farenheit is not unusual. A high clearance vehicle is definitely a plus if you want to go on some of the dicier roads, but not needed for the main roads. There is a good reason we offer workshops here. It’s awesome. Mono Lake near Lee Vinning, California. Mono lake has a very alien vibe due to the tufa formations that have been revealed because of Los Angeles’ thirst for water. Mono Lake has grown touristy – it’s not unusual to see a busload of photographers disembark and jostle for the best spots to set up a tripod. Despite that, Mono Lake is well worth a look. Not far from Mono Lake are other interesting attractions like Bodie – a ghost town, June Lake and the June Lake Loop, and the entire stretch of the Eastern Sierras all the way down to Alabama Hills. Any season is good to visit Mono Lake, but winters are harsh and cold. Big Sur. 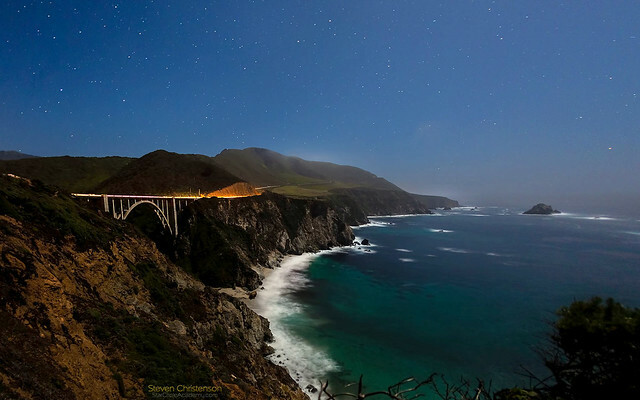 Big Sur is the name of a town in about the middle of a region loosely defined by a long stretch of winding Pacific Coast road (Highway 1) that runs from Carmel, California all the way down to Cambria. The Hearst Castle which is an interesting historical, artistic, and cultural anomaly can be found in San Simeon. The road hugs tall mountain cliffs with sheer drop offs into the often churning Pacific Ocean below. If I have to pick a favorite spot in Big Sur that’s easy. Pfeiffer Beach. Often in the summer in particular Big Sur can be cold, foggy and windy, but really any time is good to go. If you’ve never dipped a toe in the Northern California Pacific Ocean, don’t expect it to be warm EVER. Big surf comes in the winter – from November to February. Accommodations along Big Sur are scarce, expensive and heavily booked especially when school is out. And there are LOTS of destinations worth visiting: Point Lobos, Pfeiffer Beach, McWay Falls in Julia Pfeiffer Burns State Park. White Mountain, near Bishop, California. 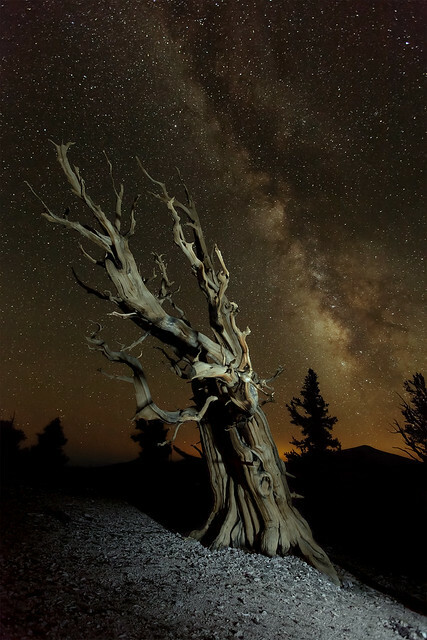 If you want to see the most amazing and oldest living things on the planet you will need to drive up White Mountain to the Patriarch Grove or at least to the Schulman Grove. And while Bishop to the West and Nevada cities to the east are doing their best to light pollute the skies, it is still well dark there and you will see the Milky Way if you look. Like many other places, the road is often closed in the winter, but it usually closes later than the Sierra roads and opens sooner. Death Valley National Park. First you need to know that Death Valley is HUGE. And yes, it is extremely hot from late spring to mid fall. But the spring flowers can be amazing and the scale of the place is hard to fathom. And while it is a desert, you may be shocked at how colorful it is. As with many places in the west, the most desolate and difficult to reach areas of Death Valley are the most interesting: the Racetrack Playa, the peculiar Darwin Falls, Eureka Dunes and Dante’s View. Expect to travel hundreds of miles to see all these things and to pay a princely sum on gasoline. If you go, you had better visit Zabriskie Point – sunrise is better than sunset at the point. Accommodations are hard to find. If forced to choose between Death Valley and the Grand Canyon, Death Valley wins easily. Zion National Park, Hurricane, Utah. I’ve visited Zion in the winter when snow and Navajo Sandstone conspire to make a beautiful landscape, and in the summer. I preferred the winter. My wife took this photo. Bryce Canyon. Unfortunately I have only visited in the winter. 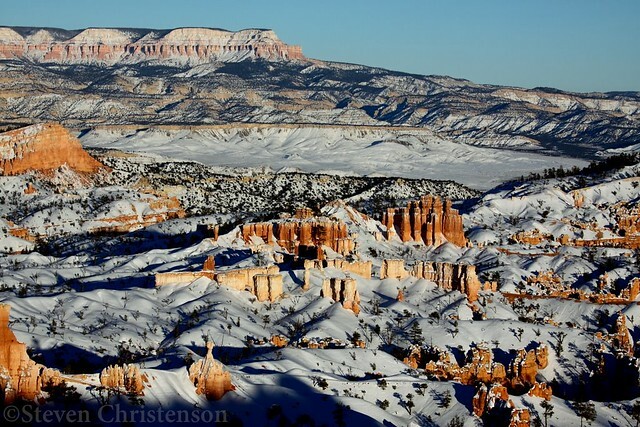 It was drop dead gorgeous with the snow and the hoodoos. Horsehoe Bend. The scale and grandeur of this magnificent bend in the Colorado river is every bit – and more – breathtaking than any vista I’ve ever seen in the Grand Canyon. And Horsehoe Bend has the great advantage of being very close to the Antelope Slot Canyons and Page, Arizona. Page is a large enough city to rest and resupply in. Lake Powell is nearby, too. Horsehoe Bend is “just one place” and is easily accessible with about a 1/2 mile walk from the road. Antelope Valley Slot Canyons. On Navajo tribal lands it’s worth every penny you might be charged for a tour. When you stroll through this majestic place – even if you do so amidst throngs of tourists you’ll find it hard to not feel a oneness with the beautiful and intimate windswept colors and curves. Black Rock Desert, Gerlach, Nevada. If you look up the definition of desolate, this place might well be mentioned in a footnote. Unless you make the mistake of going during the Burning Man festival in which case this empty flat dry lakebed ringed with modestly sized mountains becomes a sprawling metropolis of what seems like a zillion people. Or so I’ve been told. The good news is it is still very dark here. It did not make my top ten, but it did beat out the rest of our list. Lake Tahoe – Many places around this picturesque lake to drink in photos and views. Mount Shasta – Right off highway 5 going north/south you’ll find vistas, waterfalls, and some remarkable history and views. Sedona, Arizona – Hard to argue with the wind sculpted Navajo Sandstone all around. Tucson, Arizona – Not only are there desert stretches, the Saguaro National Forest, Mount Lemmon, and the Santa Catalina Mountains, but also Kitt Peak Observatory and many dark areas around. Unlike, e.g. Phoenix which is Las Vegas – like in its light pollution intensity. San Francisco – As cities go, San Francisco has many lovely vistas and landmarks. Especially from, e.g. the Marin Headlands. Seattle – like San Francisco, Seattle has some great views, landmarks and vistas. They are a little harder to find because of the heavy forests all around. But when it is clear enough to see the Space Needle, Mount Ranier, or the snow covered Olympic Mountains, it is awesome. How Do These Rank Against my Top 7 Most Beautiful Places in the World? I’m not as well-traveled as some, but I’ve been quite a few places. Here are my top 7 most gorgeous places to be – ranked from 7th to 1st. Horsehoe Bend, Page, Arizona. Described above. Antelope Slot Canyon, Navajo Lands near Page, Arizona. Described above. Petra, Jordan. The ancient, expansive and elaborate hand carved tombs of this ancient Nabatean city are winsome. And to make the stay even more pleasant the many Bedouin people I met while there made me feel very welcome. Yosemite Valley, Yosemite National Park, California. Described above. Patriarch Grove, White Mountain, California. Described above. Granite Park, Inyo National Forest, California. On my GPS I put “Saw God here” – it was THAT awesome. Granite Park is well above the tree line at about 11,000 feet and it will take a serious back-packing effort to reach it. Got a top 5 super favorite place in the west we did not list? Please comment (and include a photograph). This entry was posted in Image, Photo Tip, Travel and tagged Antelope Slot Canyon, Arizona, Beautiful Places, best places, best spots, California, Granite Park, Greece, Mono Lake, Nevada, Patriarch Grove, Petra, photo heaven, picturesque, prime locations, top 10, top ten, washington, White Mountain, Yosemite on January 26, 2018 by Steven Christenson.